Hot Wheels redlines came out in 1968 when Hot Wheels first appeared. 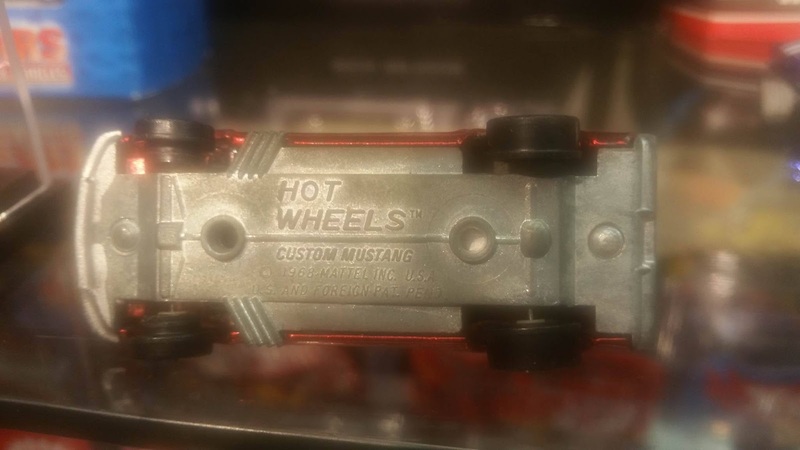 They included 16 original models and one of those models was the custom Mustang. Redlines appeared all the way til 1977, that's when black walls took over. Below is a couple photos of an 1968 release. It's an HK gold custom Mustang with the painted fascia, which you cannot see in the photo. This Mustang could have also been found with open hood scoops, as shown with the photo below! 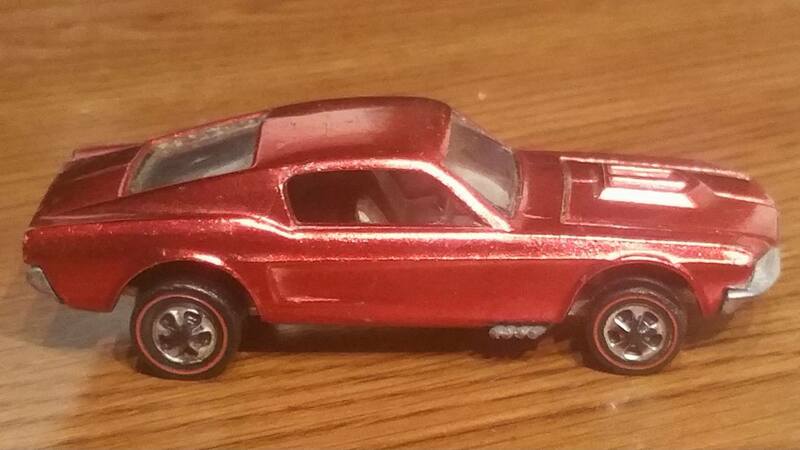 Below is a photo of a US red custom Mustang, with grey interior, from 1968! The red HK custom Mustang also could have been found with open hood scoops! The next two photo's below, show the difference in the HK, and US bases. Below is a photo of a Mustang red line bow! A bow is a photo that includes every color of one car! 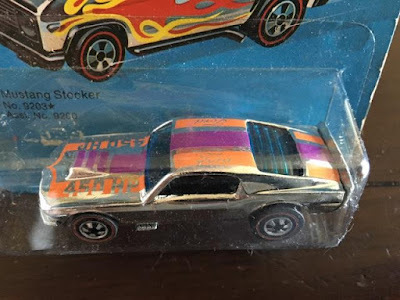 Below is what colors the US, and HK custom Mustang, could have been found in back in 1968! In 1970, Hot Wheels came out with the Hot Wheels Club. You could join the club, and get this Boss Hoss. It was one of three different castings that were offered only thru the club. All three had chrome paint, and had redlines. Pictured below is the club Boss Hoss. These could have been found with a very unique variation. The left over club Boss Hoss' got used in the 1971 production of the Boss Hoss. 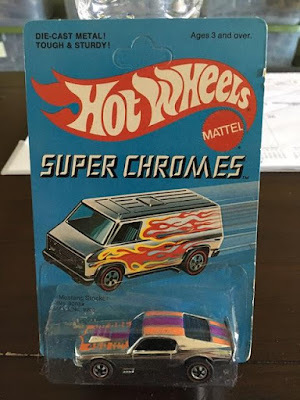 This created the "over chrome" variation. The over chrome Boss Hoss' today are very tough to find, and go for a hefty price. Photo's of the 1971 release of the Boss Hoss will be pictured soon! 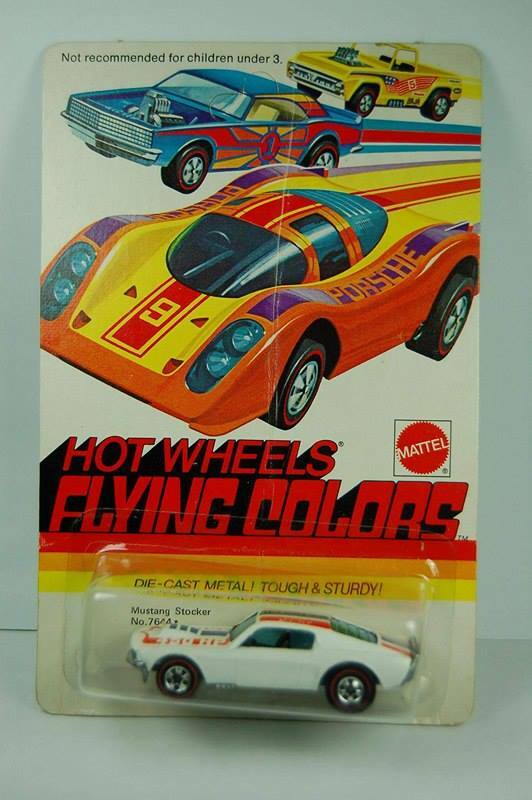 The Mustang Stocker was released in 1975 and included 2 different color variations, yellow and enamel white. The yellow could have been found with two different tampo color variations. The enamel white Stocker is ultra rare and very hard to find!